The Swarovski Retail Academy was created to open up new opportunities for the learning + development of their teams + employees. 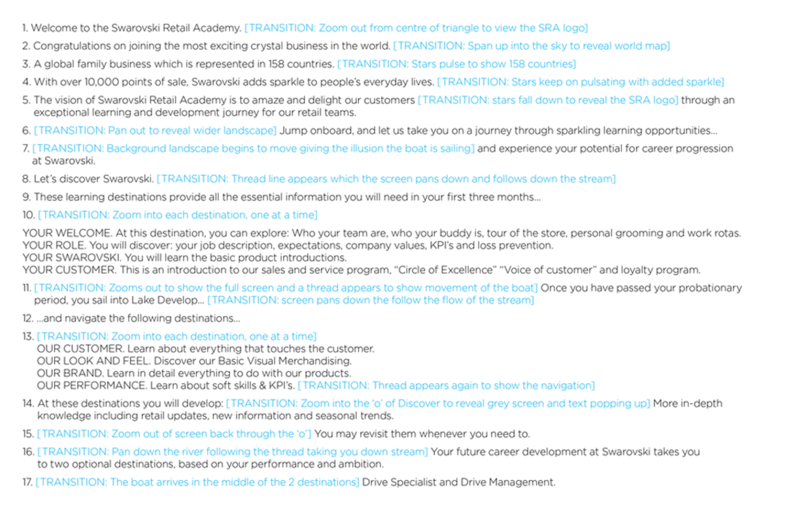 The original brief from the Swarovski team was to create an infographic to communicate the Retail Academy proposition. 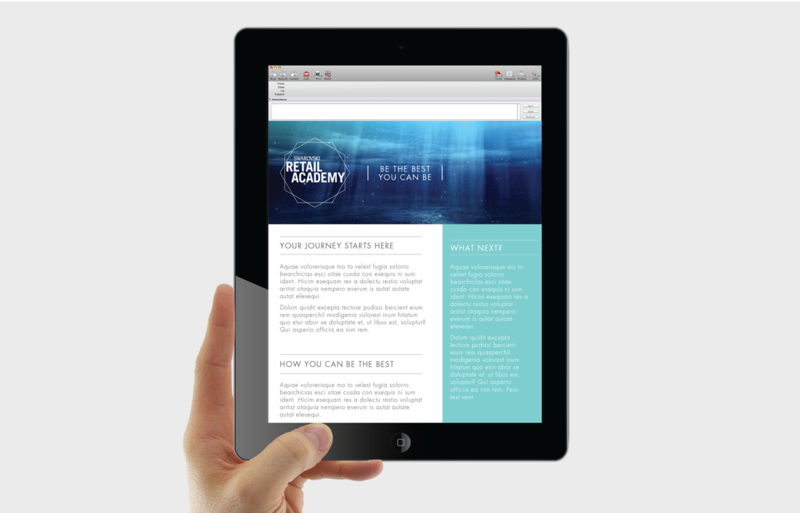 The academy didn’t have a proper brand behind it, so it was agreed that the best approach was to create a look + feel + tone of voice, for the Retail Academy. By doing so, any future design collateral + behaviours could grow from this. The brief for this new brand needed to be inspired by the essence of Swarovski – from the founding location in the Austrian alps to the high-quality crystals it produces. The first route presented focused on the simplicity of guiding its users through the retail academy with ease + clarity, using a backdrop of high-quality imagery of calm water. Simple, effective line drawings navigate employees through the training options available to them. 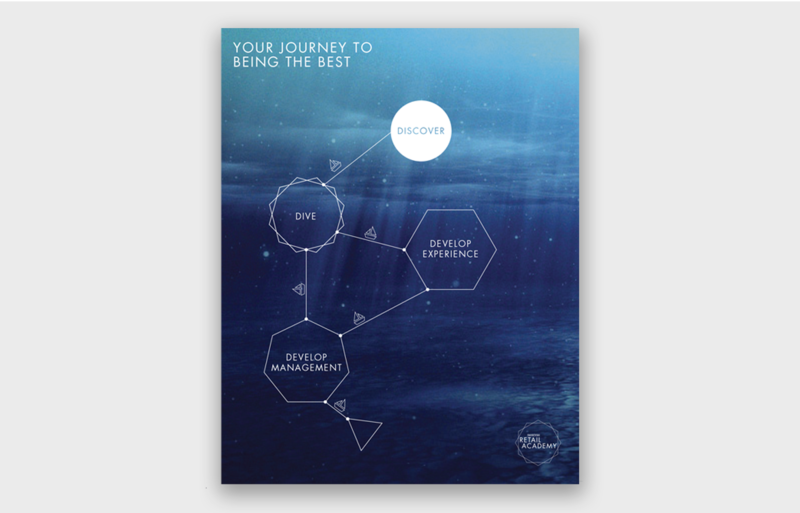 The second route focused on the journey of an employee through the academy with a simplistic, symbolic boat logomark, whilst subtly reflecting the heritage of Swarovski. Combining crystal aesthetics with watermark patterns + inky tones, the ensure the brand would have a recognisable visual identity. After some colour refinement, the logo from the second route was chosen. 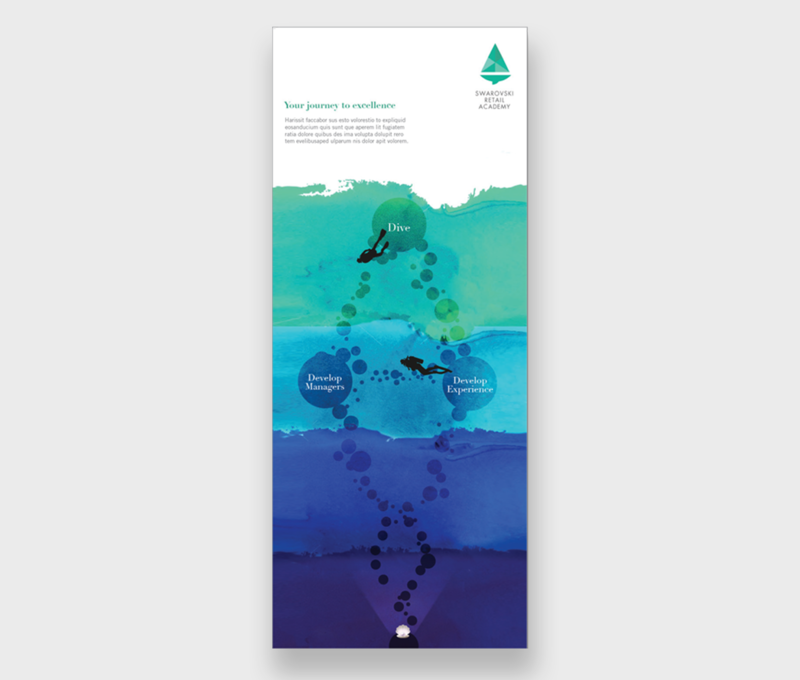 However, the client required more of ‘scenic infographic/illustration’ to reference back to Swaroski’s connection to its founding location + represent much more of a physical journey. 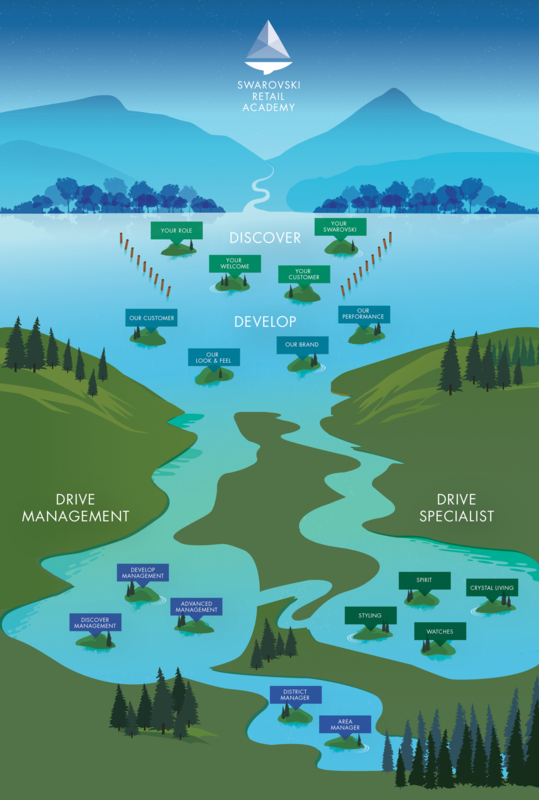 The infographic/illustration shows the user the route they would ‘sail’ through + the paths open to them in their career progression. 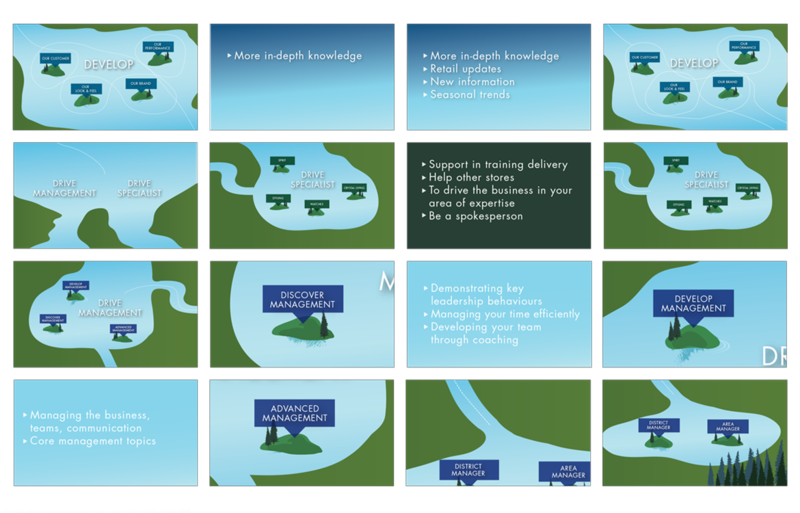 The illustration was developed into an animation to present to the audience at the start of their journey at the Retail Academy. A script + storyboard was put together for approval before animation began. 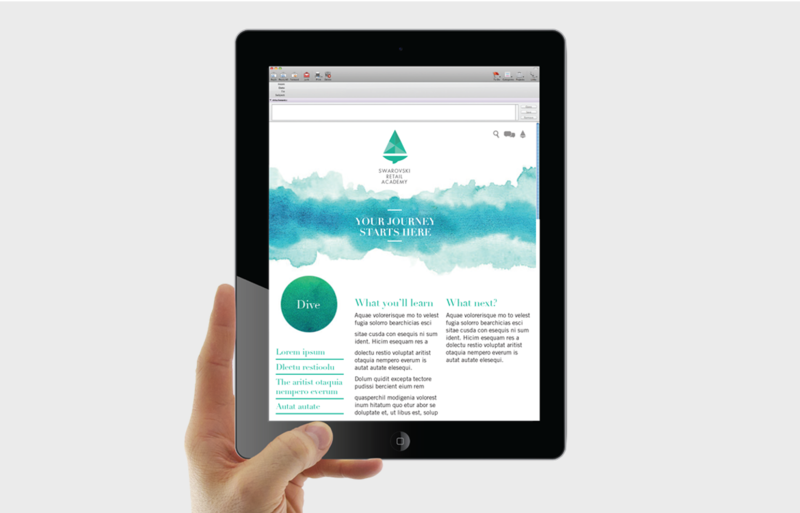 After the logo, illustration + animation were delivered, supporting collateral for the Retail Academy was put together. 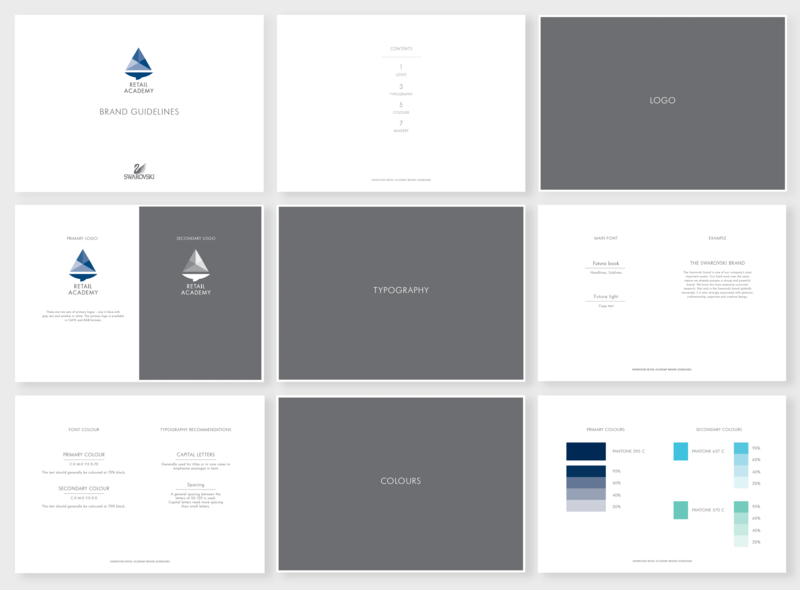 This included brand guidelines + stationery.